Easter egg hunts no longer need to be relegated to the daytime hours. The hunt could be much more thrilling — and challenging for the older set — if conducted under the cloak of darkness. 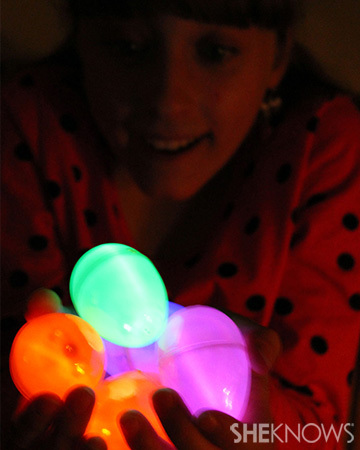 Adding glow-in-the-dark eggs to the mix is a surefire way to add some excitement to your Easter traditions this year. 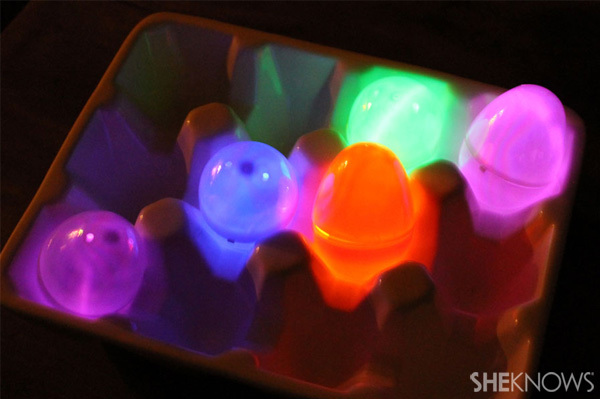 There are several ways to create glow-in-the-dark eggs. 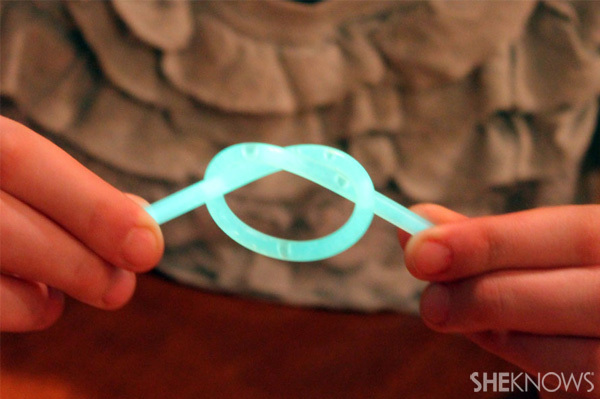 Glow-stick bracelets are available, quite inexpensively, at most dollar and discount stores. Folded up into a pretzel knot, as shown, they fit quite nicely into a plastic egg. Make sure not to include any unwrapped candy in any eggs that contain the glow sticks. Change or small toys are fun alternatives. 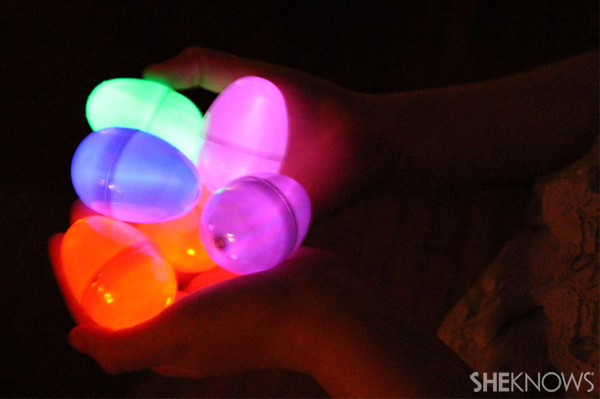 There are many different varieties of glow-in-the-dark spray paint that would be suitable for painting plastic eggs. Working in a well-ventilated area, separate your egg halves and apply a light coat to the outsides of the eggs. Make sure to allow the eggs to dry thoroughly before filling with wrapped candy. You can also use paint that glows under a black light in combination with a flashlight that has a black light lightbulb. This paint is water-based and suitable if you are using real, hollowed-out eggshells or papier-mâché eggs.